at the ankle, with side flaps on the hip that button at the waist area. that show various forms of pleated skirts and explain how they are created. drop crotch pants, pantaloons, zouave, pluderhose and pumphose. This entry was posted on January 29, 2011 by Chrissypoo. It was filed under Fashion, Fashion History, L'Histoire de Mode and was tagged with 1930, 1930 by Chris Jackson, Christopher Jackson, fashion, Fashion history, Harem, Harem Pants, History, L'Histoire de Mode, Pants. I love the the harem pants in the second picture (the one that only shows the legs)! Hey thanks for coming to the page! Yeah I like those too but I do believe the first one is my favorite it’s easy to go form day to night in this one & the draping ads to the beauty of it all….I tell you mix cultures together & BOOM!! Awesomeness happens,great fashion. Hope you follow us, there’s something new everyday & I’m adding an extra category LoL NYC daily fashion. I just blogged about pants.. and how I hate them. lol and I landed on your page. Maybe I’ll give this one a try! not fan or Harem Pants! but enjoying wearing one!!! lol!!! have you tried balmain? The ones with the 3/4 length legs, right? 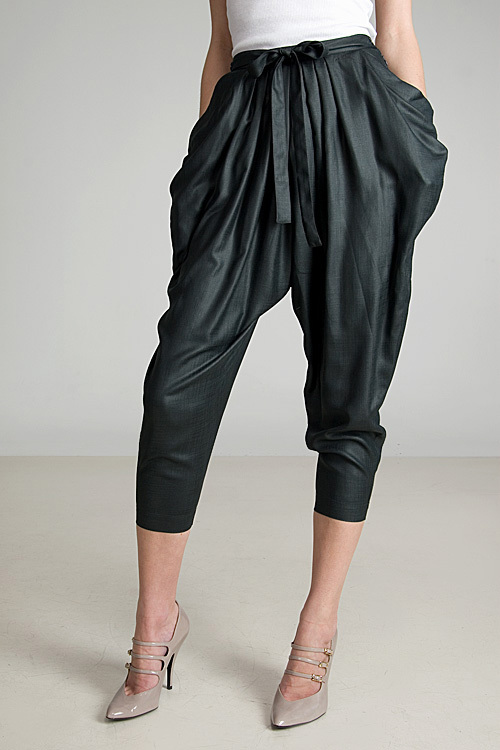 I love the modern twist on the harem pant!!!! Thanks for sharing the history. I am in the market for a pair especially when I saw Jada Pinkett Smith rocking an out-cold pair!!! i have a show Saturday night and living in Michigan, it’s very difficult to find EXACTLY what I want. (LOVING the 2nd pair – which happen to be EAXCTLY what I want-lol) The first is nice too- but I have to cover up my post-preggers belly)-lol Note to self: should have listened when granny tried to teach me to SEW. I could just make what I can’t find. LoL I know I caved into my granny teaching me & L-O-V-E-D it!! If you every need anything made, just let me know!! What part of Michigan are you from I have tons of relatives in Flint, Cadillac, & Detroit! The 2nd picture I want those pants any idea where I can get them and how much?? Awe, thanks sweetie! Stay tuned, I’ll be adding new content soon! Sign up for email subscriptions & you’ll get first dibs on my new personal collection designed by me! For 1930by ChrisJackson!! Thank you very much!! Everything I did myself. I’m constantly on a penny budget, so I figure it out & do it. Totally!! I’m mean if anything they are over exaggerating the shape of the pant. I like harem pants and would like to purchase various styles of these pants.